Yes, we’ve made it to Asheville, after visiting Chris’ parents in Findlay, my kids and Chris’ sister in Columbus, packing up all the stuff we had stored in Laura’s basement, watching for a break in the snow, driving to Cincinnati to pack up all the stuff from Mike’s basement, and then heading south ahead of some snow heading for Ohio. 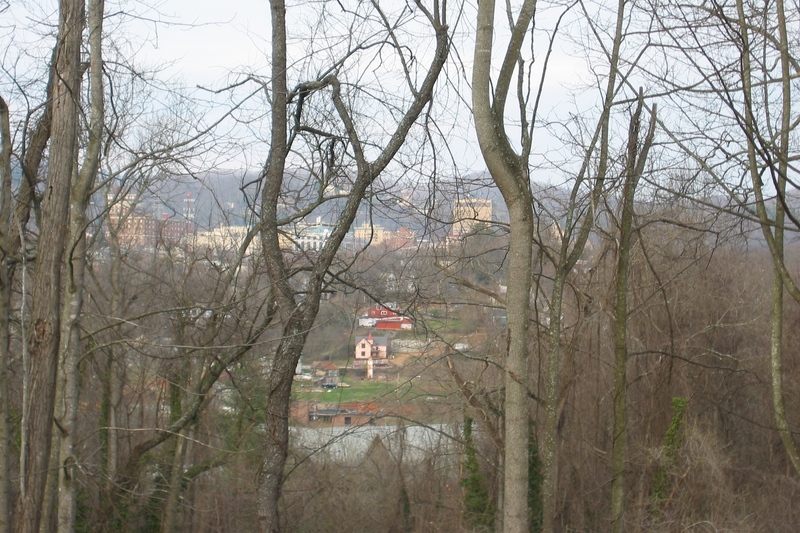 Asheville is relatively small – only 100,000 people in the immediate area. It has been called the “Paris of the South” and has lots of arts galleries and of course the Biltmore House and Gardens. Another notable place we’ve learned about is the Grove Park Inn Resort and Spa, and I have read the new-agers actually boast more vortices in this area than in Sedona. 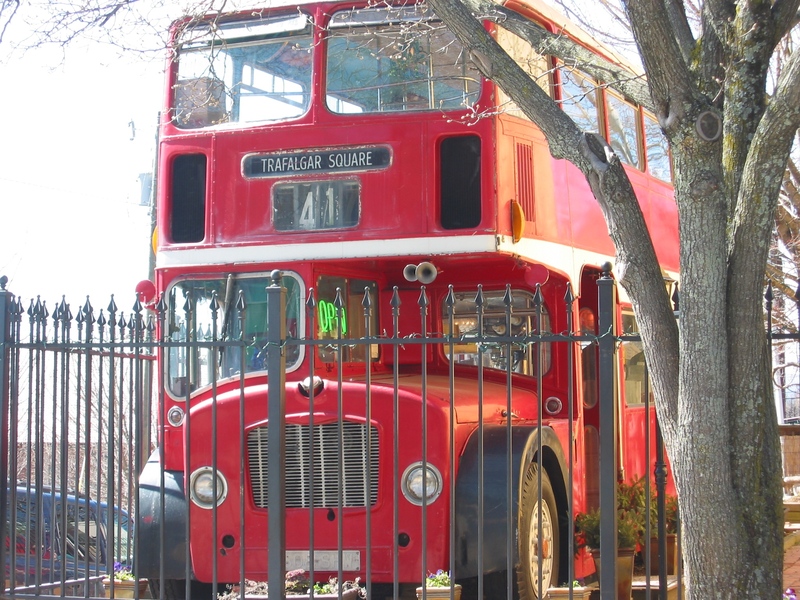 Above is a downtown coffee shop called “Trafalgar Square” – it’s a double-decker. We haven’t had coffee here yet – we have actually frequented the single Starbucks in town, although we are trying to move away from them and toward the smaller coffee shops here as we get to know our way around. We spent the first couple of days moving into a month-to-month rental house we were lucky to find (there were two other people looking it over that we had to shoo away as we moved in). Then we used some key Real Estate websites we found to search for and explore houses in our price range as a way to focus learning about neighborhoods and primary roads. We found a great one whose property search interface is like Google Maps, where you can zoom in and change criteria to see where houses are for sale. At that point I still had my telephone broadband internet access, so we could just drive around using that map to focus our research and re-plan as we went. 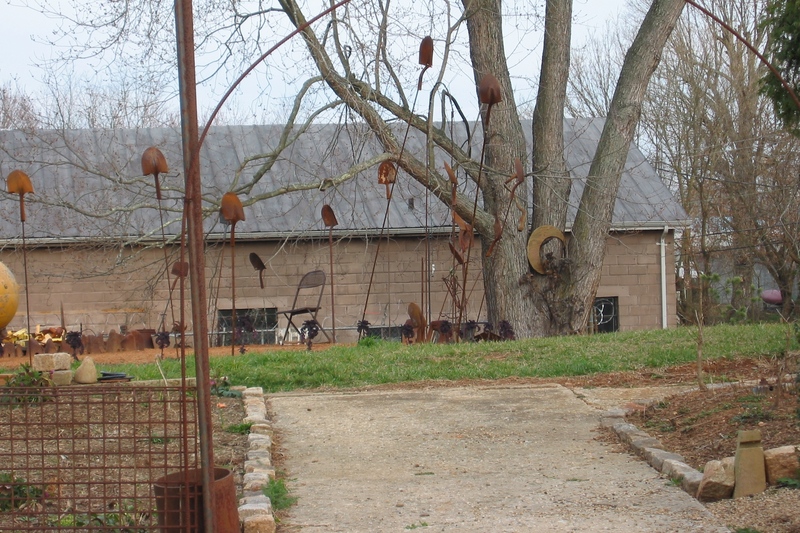 We narrowed down our list of houses and areas to around a half-dozen (primarily looking at the outside, but Chris walked into one that happened to be open while I kept the motor running). We interviewed some real estate agents, picked one, looked at houses, and decided to buy one that was a “great investment” and very near downtown (a 5 minute drive door to door). It is a buyer’s market here, but there is still appreciation in the single digits in the area. The best deals are for new builds where builders will price below market value to terminate their construction loans. 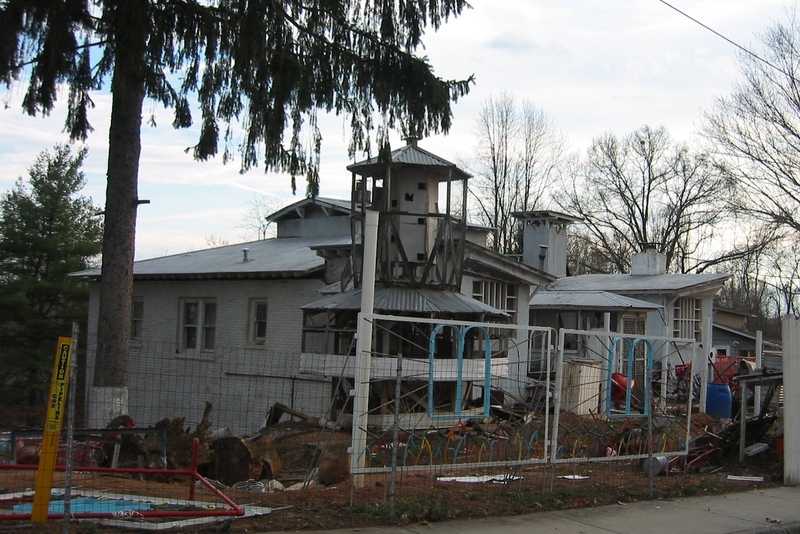 There were so many houses to look at, and many vacant ones just waiting for a buyer to appear! For any of you thinking of moving here, or with some excess cash flow – this is a great investor’s market, and many houses have rental units attached, as UNCA is here and there is a good demand for rentals close to town. 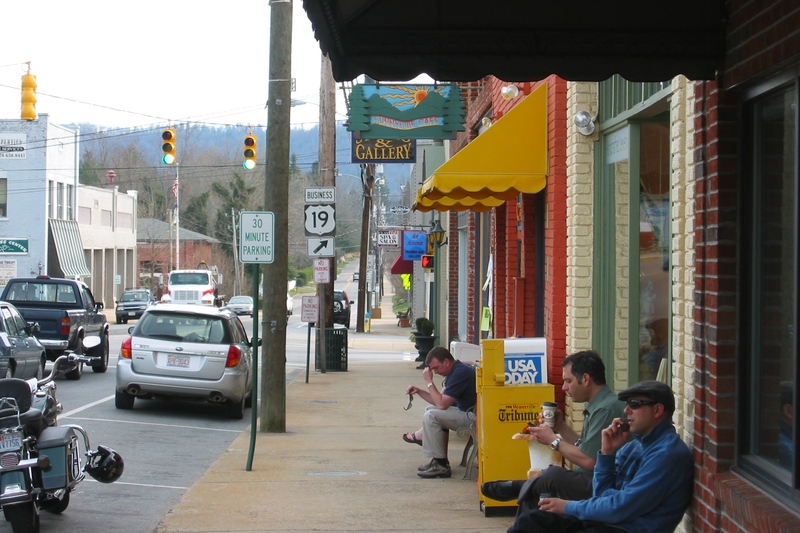 The neighborhood we are buying in is “West Asheville” which is still still growing and appreciating – but not as stable a market as North Asheville, which has the larger, older, pricier homes. 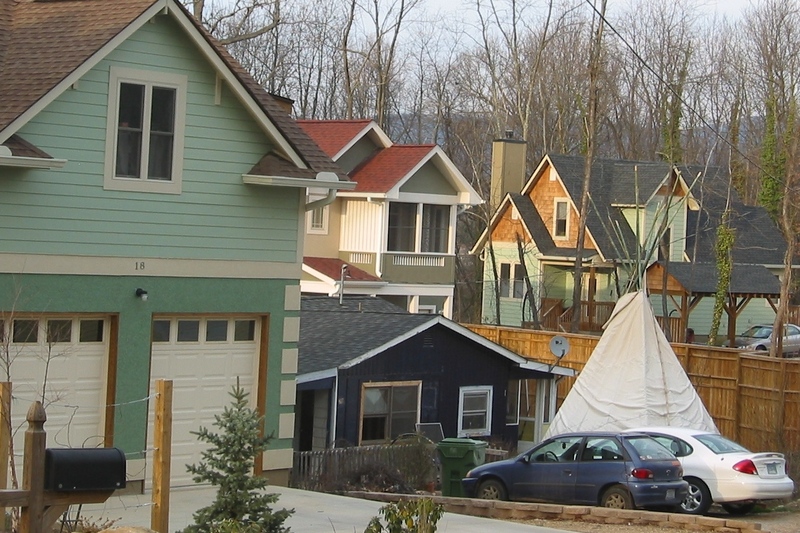 Most houses on our street are newer builds, although the next door neighbors (see TEE PEE in their front yard, below) have an older house that is slowly being renovated. The tee pee was up for about a week, but is now gone. We are enjoying Asheville – for Chris, it’s a true introduction to the southern way-meets-diversity. People actually stop for pedestrians, and wave to you. The curvy roads with on-street parking often reduce to a single lane. The oncoming drivers pull over, wave as you pass, and then slowly pull out. No horn honking road rage here. 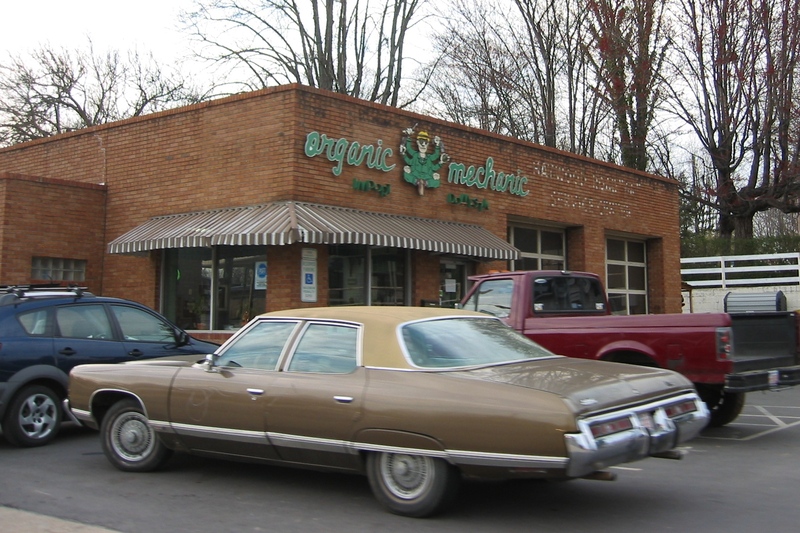 There are several large “organic groceries” around – Fresh Market, which is a large chain, the Greenlife Grocery, where flute or harp players are common as you walk in, and Earth Fare, headquartered here in Asheville. Restaurants are plenty and eclectic. Chris was lucky enough to land a good job (read: a professional job, although at about 80% of her “big-city” salary). Medical and tourism jobs are plentiful – other industries are not quite so represented. I alternate between being content to be useful staying home to get some logistics done and frantically looking for “that job” that will make me feel more secure. We were careful to purchase a house that we could afford without a lot of financial stress, and even the Element has found a community full of siblings and cousins (Scions).